Lock in a great price for Business Suite Hauptbahnhof by welcome2vienna – rated 8.7 by recent guests! Business Suite Hauptbahnhof by welcome2vienna offers accommodations in Vienna, a 13-minute walk from Belvedere Palace and 0.9 miles from Museum of Military History. 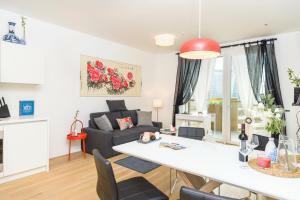 Guests staying at this apartment can use the free WiFi, a fully equipped kitchen, and a terrace. 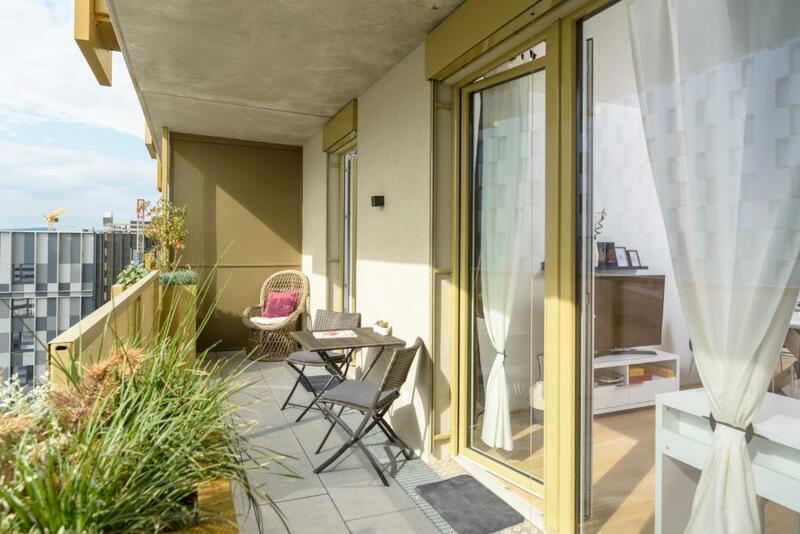 Providing access to a balcony, the apartment consists of 1 bedroom. The property also has a bathroom with a bath and a washing machine. Musikverein is 1.5 miles from Business Suite Hauptbahnhof, while Karlskirche is 1.6 miles from the property. Schwechat Airport is 12 miles away. 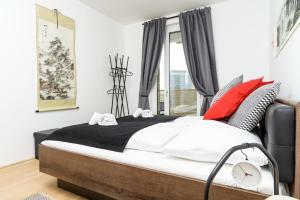 When would you like to stay at Business Suite Hauptbahnhof by welcome2vienna? 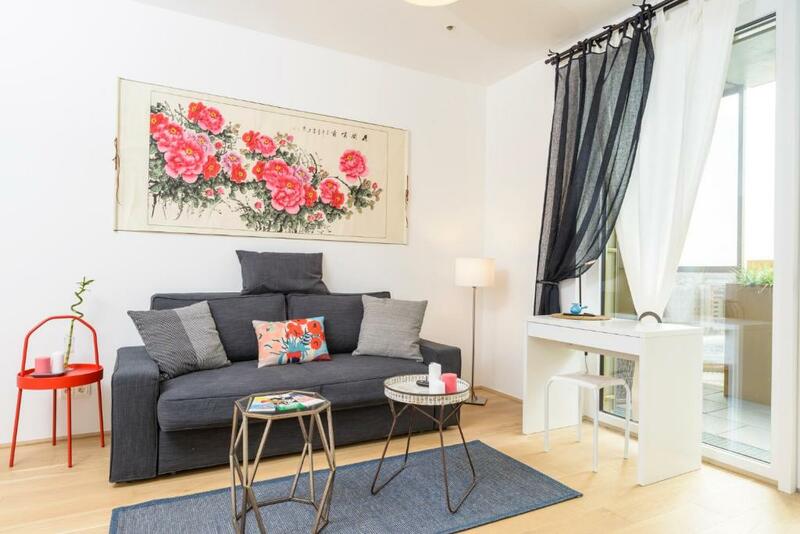 Within the walking distance from the Vienna Central train station (Hauptbahnhof), a cosy, boutique, fully equipped one-bedroom apartment with personal touches awaits you to come and explore the city of Vienna. 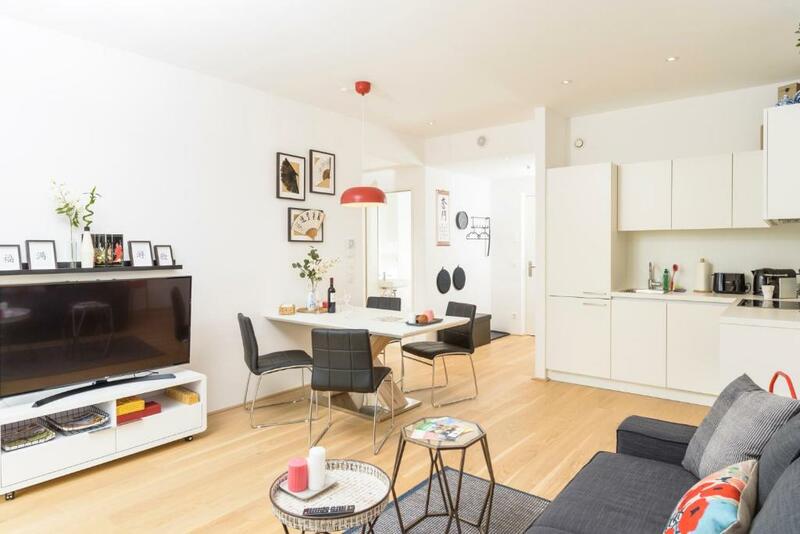 The 60-squared-meter apartment offers accommodation perfectly for 4 people on a double bed, and a pull-out sofa in the charming living room. The bathroom is equipped with a bathtub offers you relaxation after a busy day. The fully equipped kitchen gives you possibility to prepare your own home-cooked meals, and to be enjoyed at the fining table in the open living room space or on the terrace. The terrace runs along the width of the apartment, and is accessible from both the bedroom and the living room. The apartment is equipped with necessary amenities to bring you the homey feel and make your stay pleasant. Additionally, you have access to the children playground and fitness room of the building. 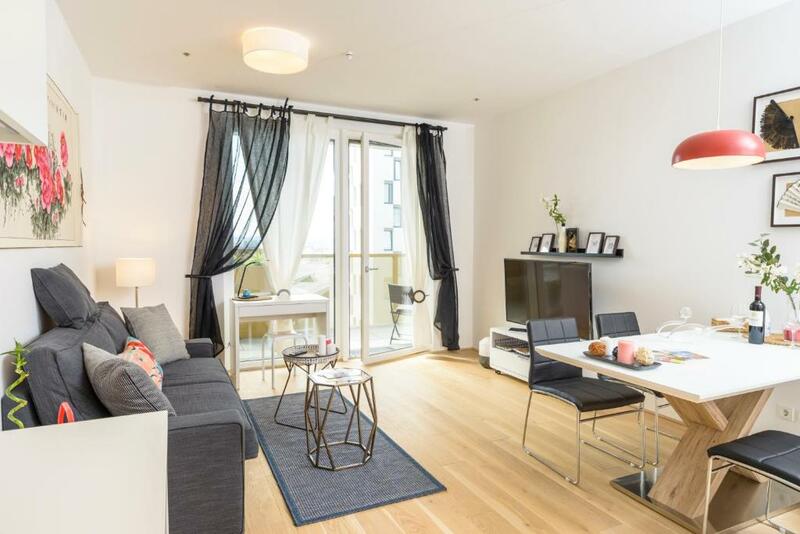 Wireless network is available and provided free of charge through out the apartment. Airport shuttle can be arranged upon request. Favoriten is the name of the 10th district of Vienna. Within this district, one would find the "Spinnerin am Kreuz", a Gothic "Bildstock" or piety column, and also the Wienerberg Hill with lots of modern office towers. 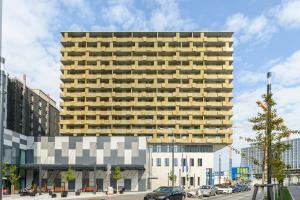 Other than that, the district comprises the Kurzentrum Oberlaa, a thermal spa within Vienna. Next to the thermal spa is a lovely park, which is worth a closer look, too. 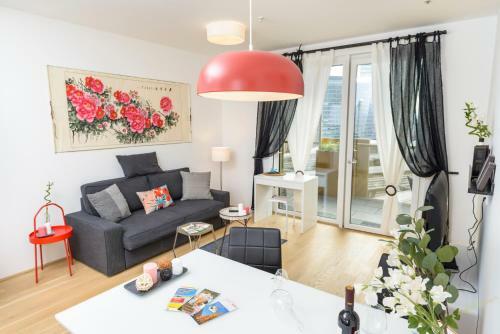 The apartment is located on Canettistrasse, a street right next to the Vienna Central train station, which makes the apartment very accessible by public transports, also a perfect location for continuing exploring Austria or Europe by railway. The Vienna Central train station (Hauptbahnhof) is also the station for the metro line U1, connecting you directly to the city center (Stephansplatz) within 5 minutes, or to the thermal spa (Oberlaa) in Vienna in just 11 minutes. Apart from the metro line, there are trams such as Tram D with connections to the Ring road around Vienna old city center, the nearby Belvedere palace, Opera house, city hall, etc., while Tram O takes you to Prater amusement park. House Rules Business Suite Hauptbahnhof by welcome2vienna takes special requests – add in the next step! Business Suite Hauptbahnhof by welcome2vienna accepts these cards and reserves the right to temporarily hold an amount prior to arrival.